Karin Angus, senior market adviser based in Enterprise Ireland’s Stockholm office, explains how Irish companies can power the Nordics’ expanding data centre construction sector. With the estimation that, by 2021, 95% of data centre traffic will come from the cloud, compared with 88% today, a projected increase in demand is promising for Irish high-tech construction and engineering companies, who are already partnering in the development of the most innovative and large-scale data centres in Sweden today. Major Swedish projects driven by Irish construction and engineering companies include the Digiplex facility in Upplands Väsby, and three Amazon Web Services facilities in Katrineholm, Eskilstuna and Västerås. In March, Enterprise Ireland held a seminar on the construction sector at the World Trade Center in Stockholm, at which forty Irish and Swedish companies participated. Attendees received presentations from Thomas O’Connor, Director of Irish company Collen Construction, and representatives from Business Sweden, the Swedish Construction Federation, the Swedish Transport Administration, the Swedish Association of Public Housing Companies, Enterprise Ireland, and from the 16 Irish companies that attended. Ireland’s ambassador to Sweden, Dympna Hayes, and Ireland’s Minister for Culture, Josepha Madigan, also attended. 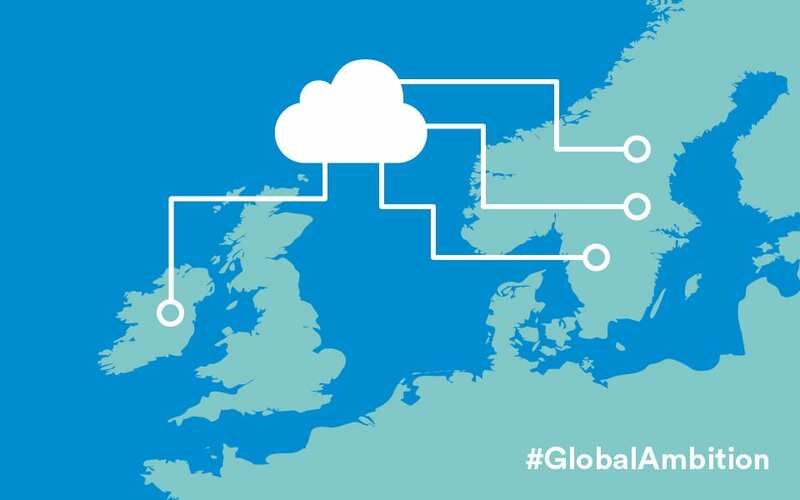 Ireland’s geographic location, on the western edge of the Atlantic, has helped it to become one of the most important hubs for global technology giants, including Microsoft, Amazon, Google, Dell EMC, IBM, HP, Facebook, Equinix, InterXion, and Digital Realty. Speaker Tomas Sokolnicki from Business Sweden discussed why construction in the Nordics has accelerated since Google opened a data centre in Finnish Hamina in 2009. Sweden’s cool climate reduces the energy required to cool down data centres, one reason why it ranks as the third most suitable country in the world in which to locate them. A stable electricity supply, enabled by a production mix of hydro and nuclear power, also makes it a favourable location for data centre construction. Two Irish companies, Hanley Energy and Kirby Engineering, announced the expansion of operations in Sweden at the seminar, having recently won a number of significant new projects. Power management specialist Hanley Energy plays a key role in protecting data centres from problems caused by power supply issues and will open an office in Torshälla in Sweden. With a turnover of €165m, Kirby was founded in 1964, and currently directly employs over 700 highly-skilled professionals. For Irish construction companies interested in opportunities in the Nordics, it is important to be familiar with local labour laws, follow union regulations, and listen to local advice. Take the opportunity to explore market intelligence and potential introductions with Enterprise Ireland. Staff in the region will assist you with local knowledge and contacts. Enterprise Ireland recently published the Future Data Centre white paper, in collaboration with Data Center Dynamics, analysing major changes that will impact design and construction trends over the next five years. The white paper can be downloaded from the Irish Advantage website and offers a snapshot of the data centre construction landscape, major changes impacting design and build processes, regulatory and technological drivers of change, and strategies for smart design and construction.